UNDATED- Senator John Hoeven (R-N.D.) Wednesday announced that the U.S. Senate has passed a bipartisan resolution he introduced designating November 4th as National Bison Day. 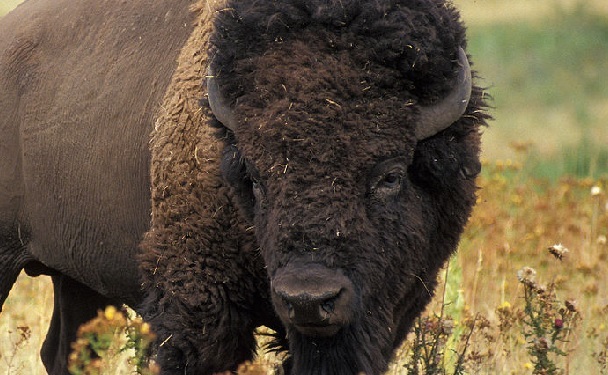 The resolution celebrates the cultural and historical significance of the North American bison as well as the bison's designation as the national mammal of the United States. "Our national mammal, the bison, is a true American icon," said Senator Hoeven. "The bison's incredible story includes one of the most remarkable and successful examples of conservation efforts as they were brought back from the brink of extinction to flourish again. Many Native Americans hold the bison as an important spiritual symbol, and it holds important historical and cultural significance for our nation. That's why we worked to designate the bison as our national mammal and on National Bison Day we commemorate all that the bison means to our nation." The resolution is cosponsored by Senators Martin Heinrich (D-N.M.), Mike Enzi (R-Wyo. ), Sheldon Whitehouse (D-R.I.), James Inhofe (R-Okla.), Tom Udall (D-N.M.), Jerry Moran (R-Kan.), Pat Roberts (R-Kan.) Orrin Hatch (R-Utah), Joe Donnelly (D-Ind. ), Jon Tester (D-Mont. ), Rob Portman (R-Ohio), Charles Schumer (D-N.Y.), Heidi Heitkamp (D-N.D.) John Thune (R-S.D. ), Mike Rounds (R-S.D.) and Michael Bennet (D-Colo.).